I substituted Trader Joe’s Sriracha Baked Tofu for the shrimp and doubled the sauce cutting way back on the sugar and tweaking it as I went along for the right balance of fish sauce ( vegetarian fish sauce is available online or you can find a recipe for it on the internet), sugar, and lime juice. I also added julienned snow peas and carrots for more vegetables. 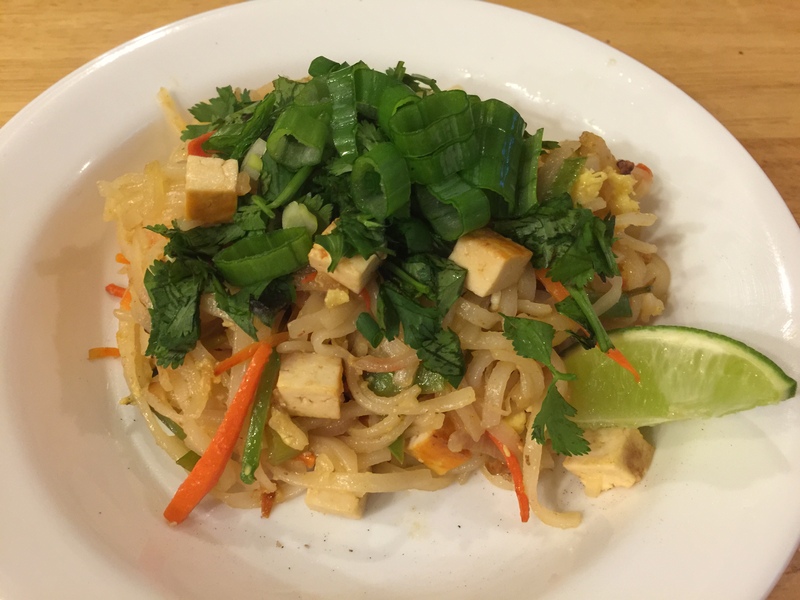 This entry was posted in Eggs, Pasta, Vegetables, Vegetarian and tagged carrots, cilantro, Eggs, fish sauce, garlic, green onions, limes, Pad Thai, rice noodles, shallots, snow peas, tofu, Vegetables, vegetarian. Bookmark the permalink.